My friend has suggested me to buy Samtel Color at 16 telling me that it may go upto 50 – 60 levels in short term .and the source is tried and tested. Tarun, Stay away from that stock. Your friend’s tried is tested is very doubtful for multiple reasons. I do not see any reason for it to go bizzare. Ask your friend to tell you the fundamentals or technicals of the stock and why he thinks such a big run is expected. You can share with us here and we can suggest if it is something really that good to triple in weeks. You can sense that I was seeing the stock movement as doubtful. First let us look at the 1 week chart pattern for the stock. At 12:50 PM today this is what we see. Clearly we can see that there was some interest in the stock starting On October 21st 2010. This is when Tarun also asked the question. As you can see in my reply to Tarun, I searched Google to see the reason for the interest and if there is any news floating in the market. I could not find much of information and so stock was moving without any news. 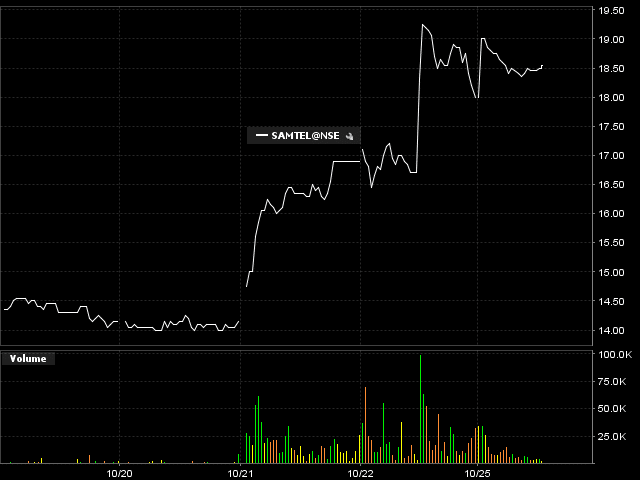 I started to follow the chart pattern of the stock because I was sensing some money to be made here. No no not investing but doing a trade on the short side. Now let us look at the chart pattern of the stock for today. I saw an opening high volume trade but that did not last long and so I shorted the stock at 19+ but the stop loss for the stock for me was 19.75 i.e. days peak where we saw maximum volume. If the stock moved above 19.75 on good volumes my trade would have been a bad trade and I would have come out of this stock on stop loss. Remember not only the price but also the volumes were needed for me to trigger my stop loss. Now from almost 9:45 to 10:15 roughly I saw that stock is neither breaking out of 18:80 nor breaking down 18:70 but still the volume was low and so I expected the stock to break down but still covered my half position at 18:80. 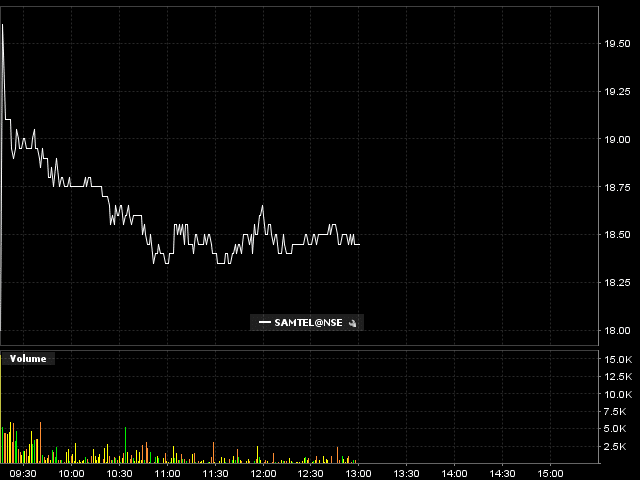 Soon after the cover as expected the stock broke on the downside. This is when I covered my all the position. I still expect the stock to go down further but then not much from here to my likings. So next time you get tips about stock doubling, tripling in short term do some check on why the stock can double in such a short span of time. Finally my question is how reliable are your tips and where do you get your tips from? Share in comments. You are here: Home / Stock Tips / How Reliable Are Your Tips?